Porto Cervo is the main centre of the so called Costa Smeralda, one of the most prestigious tourist areas of Gallura, in the north-western Sardinian coast. Resorts such as Cala di Volpe, Liscia di Vacca and Baja Sardinia should now be considered very sought-after tourist destinations. Porto Cervo is a village of multicoloured buildings, recently built in front of the natural port and of the surrounding hills. The Porto Vecchio (Old Port), dated back to 60', is on the south-eastern side, while the new one is equipped with the most modern and complete tourist infrastructures for the international traffic. The wharves and quays are Porto Cervo Spa's private property and therefore there are fees to pay for docking and enjoying the use of the facilities. The Port is visible from the sea referring to Capo Ferro, a promontory 46 m high with a lighthouse indicating the north of Porto Cervo. From the sea you can also admire the lights of the numerous tourist resorts present in the area. From Palau in the north take SS125 south for appx. 17km to the intersection with SP59. Take a left onto SP59 and travel on that for appx. 13km until you get to Porto Cervo. 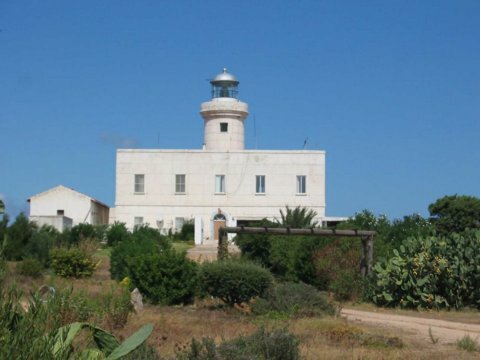 Once there you should ask where Capo Ferro is and the lighthouse. My maps aren't detailed enough to give directions beyond this.